254 pages | 248 Color Illus. Managing emergency and critical care situations is a daily challenge for veterinary practitioners caring for small animals. The appropriate treatment must be undertaken as quickly as possible and the most life-threatening problem tackled first. 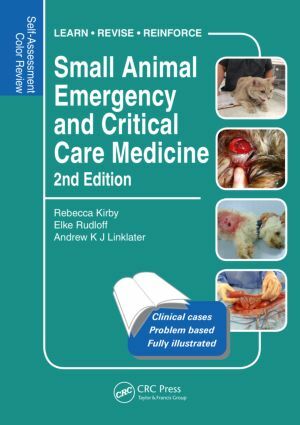 This second edition of Small Animal Emergency and Critical Care Medicineprovides more than 200 new randomly organized cases in the form of integrated questions, illustrations, and detailed explanatory answers. The concise, simulation-oriented format helps readers test their skills in emergency situations and gain practice making rapid decisions about diagnosis and treatment plans. The book covers all aspects of emergency and critical care medicine where a coordinated team approach to patient care is needed. It is an essential reference for newly qualified veterinary practitioners, technicians, nurses, students, and examination candidates.